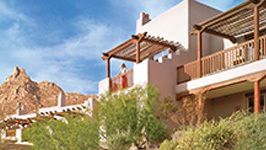 Come spend a romantic weekend in the cultural center of Arizona. 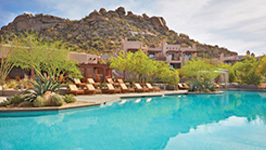 Phoenix, AZ has a lot to offer as a weekend getaway spot. 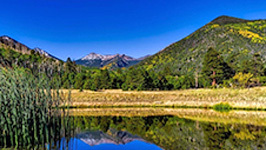 The City is large enough to have many romantic spots to eat, theatres to enjoy, and it is located in a great area for an adveturous couple that likes to enjoy the great outdoors. Come to the sunny city of Phoenix and see everything the city has to offer. Relax in a serene outdoor oasis. 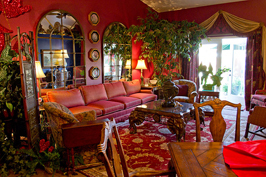 This bed and breakfast is a great spot for your stay during your romantic getaway in Phoenix, AZ. Take in their “famous cityscape experience. And the colorful and diverse Melrose district. 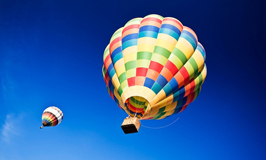 Antique shops and five star dining and shopping that would top any traveler’s list.” They are also centrally located to be able to take in Phoenix’s culture and outdoor opportunities. 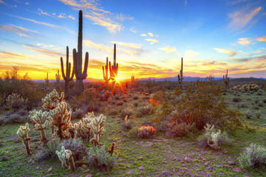 Phoenix is located in the Valley of the Sun in the Sonoran Desert. 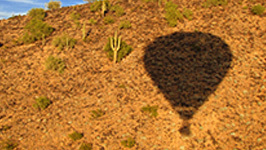 The desert offers a lot of opportunities to make great memories on your romantic getaway. 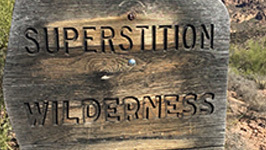 The are many trails to hike, areas for picnics and tours that you can take to see the beauty of the desert. 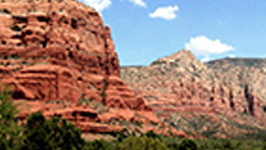 South Mountain Park and Camelback Mountain are popular spots for Sonoran Desert hiking. From Phoenix, there are many tours that can be had. You can see the desert in various manors including by Hummer, by balloon or even by helicopter. Taking a tour at sunset or sunrise is definitely recommended for some memorable romantic experiences. 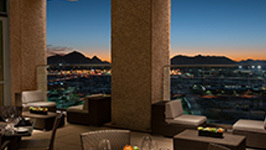 Since Phoenix, AZ is the the cultural center of Arizona state, there are many opportunities to take in the theater, see many museums, listen to opera or see the ballet while on your romantic getaway. 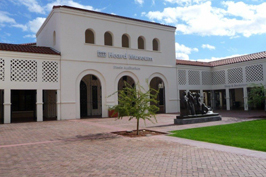 There are many museums in the area, but some of the most recommended are the Heard Museum and the Phoenix Art Museum. The botanical garden is a perfect place to take a stroll and enjoy the romantic atmosphere. The zoo is a great place to spend the day strolling and enjoying the sights of the wild animals together. Beyond having many museums, a zoo, and botanical gardens, Phoenix is also home to the opera and many great theatres such as the Phoenix Theatre. 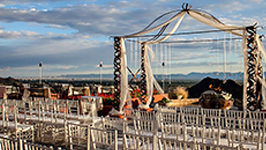 No matter what you enjoy there is sure to be something to see with your love while on your getaway in Phoenix, AZ. Phoenix is home to a few major sports teams for those that love sporting events. It is one of only 13 cities to boast representatives of all four major professional sports leagues. 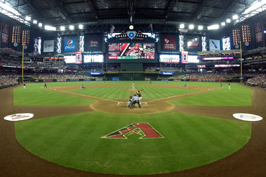 Go to Chase field and watch the Diamondbacks play baseball, Sun Devil Stadium to watch the Cardinals play football, the Jobing.com Arena to watch the Arizona Coyotes play hockey or to America West Arena to watch the Phoenix Suns play basketball. Phoenix is sure to give any sports loving couple a reason to go see the game. Phoenix is also home to the Phoenix International Raceway and hosts many racing events from NASCAR to dragracing events. 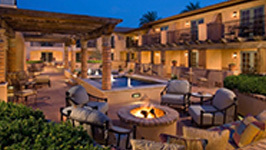 For those looking for a tamer sport to view while in Phoenix, it as hosts many golfing tournaments. 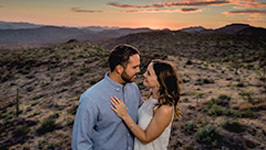 Some unique date spots in Phoenix include: The Duce for a drink and dancing, Piestewa Peak for great hiking, Ecanto Park for a paddle boating experience, and The Torch Theatre for something to tickle your funny bone.